According to the Internal Revenue Service, the average federal tax refund is about $3,000.00. This is a large sum of money, so instead of splurging or making an impulse buy – it is a good idea to carefully consider what you are going to do with this return of your hard-earned money. If you need a new car – this may be a good time to make a purchase. While you certainly cannot purchase a new vehicle with $3,000.00 – these funds (or at least some of these funds) can be used as a down payment on a new or used vehicle. Even if you are interested in leasing a vehicle –a down payment is often required when you sign the lease contract. 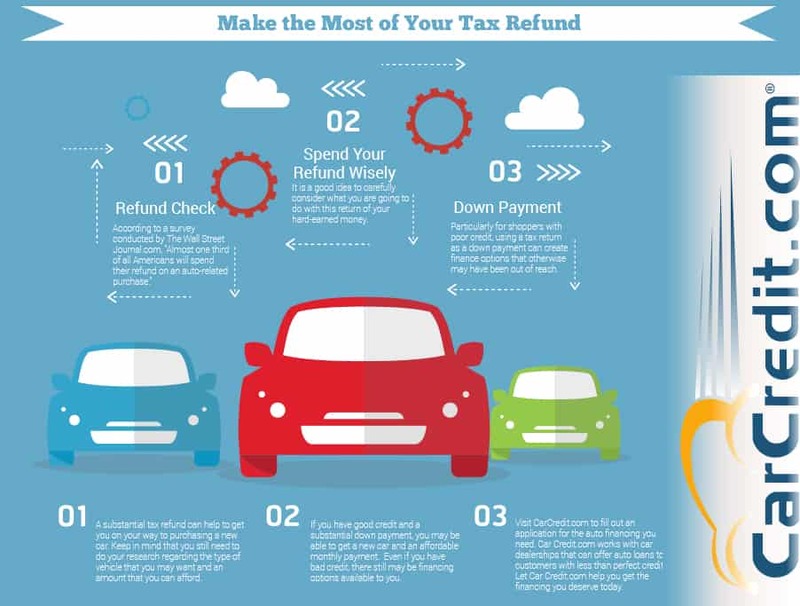 A substantial tax refund can help to get you on your way to purchasing a new car. Keep in mind that you still need to do your research regarding the type of vehicle that you may want and an amount that you can afford. If you have good credit and a substantial down payment, you may be able to get a new car and an affordable monthly payment. Even if you have bad credit, there still may be financing options available to you. Visit CarCredit.com to fill out an application for the auto financing you need. Car Credit.com works with car dealerships that can offer auto loans to customers with less than perfect credit. 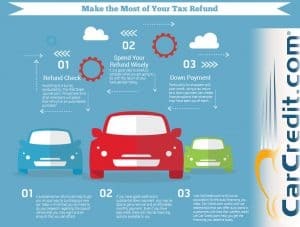 Let Car Credit.com help you get the financing you deserve today.